Funding is a key driver for the further education and skills sector. Sometimes, depending on who you are and what you do in your organisation funding can be experienced as both constraining and/or enabling. 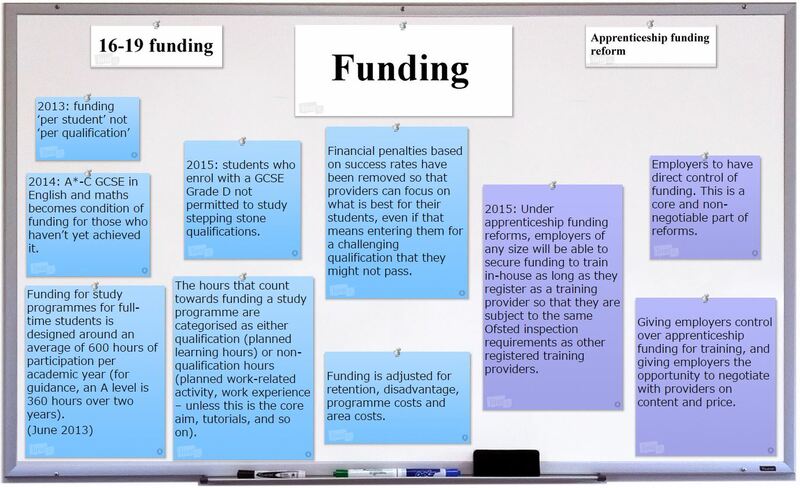 The sector has seen many funding changes, including changes to 16-19 funding and apprenticeship funding.